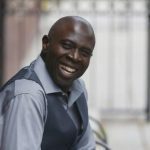 Gary Anthony Williams and his writing partner recently sold a feature script to Lionsgate. In addition, the two just completed production of a pilot for YouTube Red based on their award winning DreamworksTV show, Life Hacks for Kids. Life Hacks has well over a quarter of a billionviews. You can watch their live-action shorts, Snackdown, on Disney Jr. Gary also wrote and directed the animated short, Baby Stache, for Nickelodeon. In animation, Gary appears in several Disney animated shows including series regular characters on Doc McStuffins, The Lion Guard and Sheriff Callie’s Wild West. He played Uncle Ruckus in The Boondocks, Riff Tamson in George Lucas’ Star Wars: The Clone Wars, and both Mongul and Mongal in Batman: The Brave and Bold. Catch him in episodes of Bob’s Burgers, Rick and Morty, American Dad, Super Mansion, Scooby Doo, China Illinois and Black Dynamite. Gary is very pretty. Oh yeah, he’s also a proud member of the all-black, booty-kicking improv show, The Black Version.